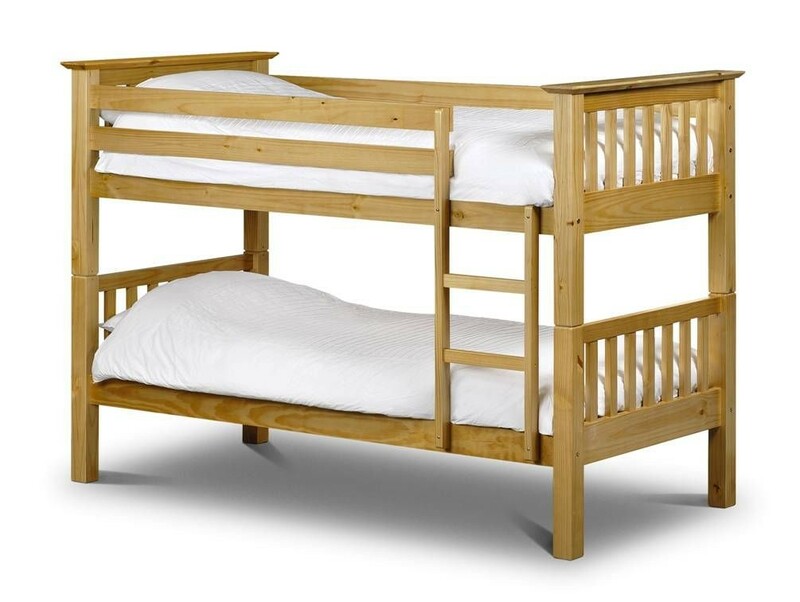 Sturdy shaker style bunk bed in durable lacquered antique pine finish. Separates into single beds. In Stock for FREE express delivery. Mattresses sold separately. "A really classy colonial style bunk bed. Very sturdy and well constructed pine bunk with extra style."